Soccer (also known as football) is a team-based sport played in two 45-minute halves with a 15 minute break between halves. A team involves 10 players on the field plus a goal keeper. Soccer is played all year round with the number of weekly matches varying between competitions. In Australia, the main competitive season (A-League) is played between October and March and involves a one match per week match usually on weekends. Soccer (also known as football) is a team-based sport played in two 45-minute halves with a 15 minute half-time break. A team has 11 players on the field during a game – 10 field players plus a goalkeeper. A team can also have 3 substitute players. Once a player is substituted off they cannot play again in the match. Other than the goal keeper, players are unable to use their hands during a match so must be very skilful with using their feet and body to control the ball during play. Soccer is played year round with the number of weekly matches varying between competitions. In Australia, the main competitive season (A-League) is played between October and May and involves one match per week, usually on weekends. There are also major international tournaments such as the World Cup (held every 4 years). Soccer training sessions and matches are comprised of aerobic and anaerobic activity. Soccer training can be physically demanding depending on the level of competition. Individual nutrition requirements will be determined by training load, specific athlete needs, training goals, body composition goals, health and adjustment for growth in younger players. During matches players are required to switch between walking, jogging, running and sprinting (at times while using their speed and agility to also control the ball). During an elite level match, players can cover around 10km, accelerate 40-60 times, and change direction frequently. These patterns of play can substantially reduce muscle fuel stores (glycogen), which can cause fatigue and lead to a dramatic reduction in running speeds during later stages of the game if not well managed. Soccer players must be skilled, fast, agile and strong with a high level of aerobic fitness. 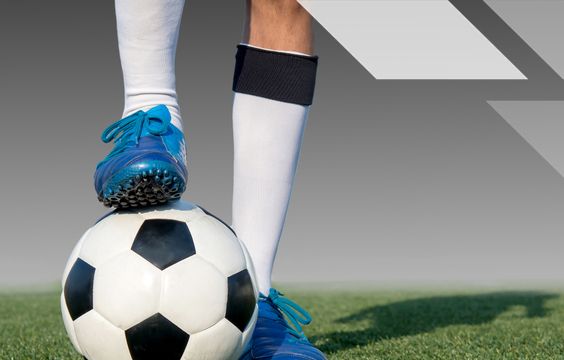 Although soccer players come in various shapes and sizes, low body fat levels can be beneficial for speed and agility. A general healthy eating pattern helps to support the needs of fit, energetic and lean player. Nutrition plans should be based around lean proteins for muscle repair and recovery, carbohydrate appropriately timed for fuel. In addition, fruit, vegetables, nuts, seeds and wholegrains provide important vitamins and minerals, along with some healthy fats such as avocado, nuts, olive oily and oily fish such as salmon. Soccer players should adjust their food and fluid intake to match their training load. 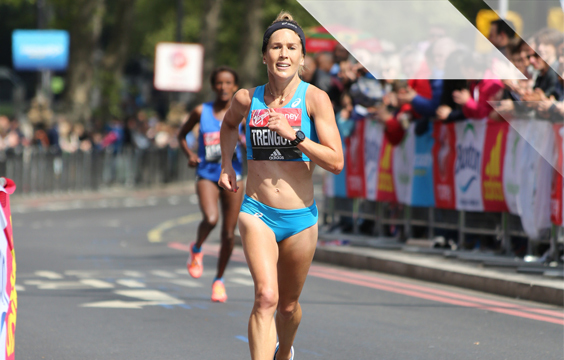 For example, during heavy training periods, a diet rich in carbohydrate foods is important to provide adequate fuel to reduce fatigue, sustain performance and promote recovery. During lighter training periods or rest days, a less carbohydrate is needed given the lower energy demands on the body. Soccer is a professional career at an elite level, however many amateur players also have work and study commitments to manage around their soccer schedules. To manage this busy lifestyle good nutrition habits are important and make a huge difference on and off the field. Fluid requirements during matches can be considerable due to the high intensity of a match (further exacerbated if hot weather). 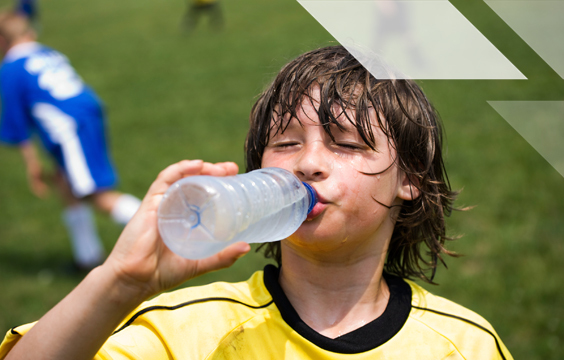 Dehydration can negatively impact soccer performance – particularly endurance, speed, skill execution and decision-making. 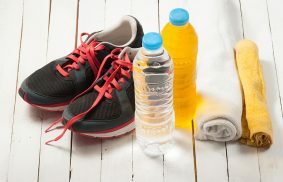 Having fluids with all meals and snacks, carrying a water bottle throughout the day, and drinking 200-600ml of fluid just before the start of training are useful strategies to optimise hydration levels. When training, players should make use of any break opportunities to grab a drink. During intense or long sessions, sports drinks can be useful as they contain carbohydrate to help replace energy stores plus fluid and electrolytes for rehydration. 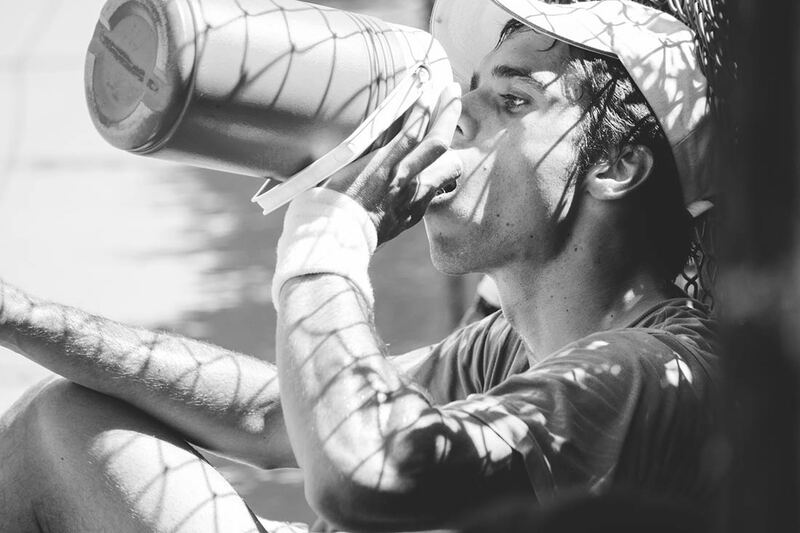 Rehydrating after training is particularly important – especially if training in hot weather or with training sessions close together. The addition of electrolytes to fluids or consuming salty foods alongside fluids (e.g. vegemite on crackers) can help with rehydration goals. It’s important to start matches well-fuelled. Each player is different, but most will often eat a pre-game meal around 3 to 4 hours before the start of the match. This meal should contain some carbohydrate for fuel as well as some fluids for hydration. A small amount of protein in the pre-game meal is also useful, as it can help to prevent hunger during the game. Many players will also have an additional small snack 1-2 hours prior to the game. 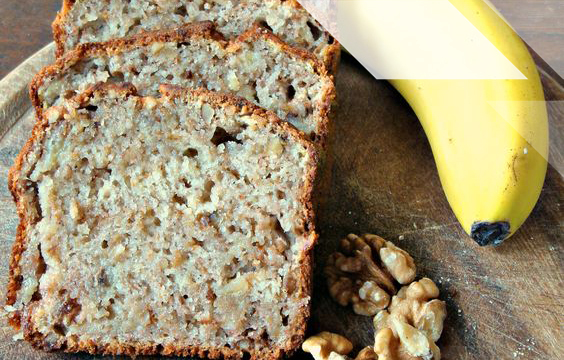 This is often something light that is rich in carbohydrate but relatively low in fat and fibre so it is easy to digest. If solids don’t sit well before a game, or players are very nervous, a liquid source of protein and carbohydrate such as a fruit smoothie can be a good option. Players should work closely with an Accredited Sports Dietitian to trial nutrition strategies during training and matches to find which foods work best for each player. Hot environments, combined with high-intensity exercise can lead to high sweat losses. Opportunities to drink during matches are limited to the warm-up and half time break but informal breaks in play (e.g. injury time) can also be useful. Players should start the match well hydrated by drinking adequate fluids leading up to the match. Producing regular amounts of clear urine is a useful indicator of good hydration status before exercise. Although the half-time break is brief, it is the only opportunity for consuming carbohydrate during play. Players with a high workload (e.g. midfielders) will benefit the most from consuming a carbohydrate snack during the break because these players tend to have the greatest requirements for carbohydrate and fluid during a game. Chopped fruit or muesli bars are quick, easy-to-eat options. Alternatively, specialised sports nutrition products such as energy bars, gels and sports drinks can be quick to eat. While water is the priority fluid during training and for hydration during the day, and in most matches. Sports or electrolyte drinks may be useful during a game for players identified as having high energy requirements or heavy fluid losses as they can deliver some fuel and electrolytes. Recovery meals and snacks should contain carbohydrate (fuel), some protein (for muscle repair and development) and plenty of fluids and electrolytes to replace sweat losses. A recovery meal or snack should be consumed soon after exercise period, remembering that recovery nutrition extends well beyond the initial hours post-game, particularly when the next training session or game is the next day. Fluids (mainly water) should also be consumed, based on estimated losses. Plan for travel Depending on the level of competition, soccer players are often required to travel locally, nationally or internationally for their sport. Thinking ahead and putting into place appropriate travel nutrition plans is essential for optimising performance when on the road. An Accredited Sports Dietitian can help with this. Be well prepared - don't rely on food being available or suitable at the venue you are playing at. Alcohol can be part of the culture of many team sports. Ideally, an athlete should rehydrate and refuel before having an alcoholic beverage, if at all.